MAST Education is designed to automate the process of locating and contacting Tutors by Students. The Application offers a platform for those seeking to receive tutoring services to connect with those seeking to provide tutoring services. As independent contractors of MAST hired by MAST Students, Tutors control the methods, materials and all aspects of the lessons. MAST Students are responsible for selecting the right Tutor for their needs. In making hiring decisions, MAST Students should review and investigate each Tutor's self-reported credentials, education, and experience, as well as reviews from other MAST Students. MAST Education controls and operates the Application from various locations and makes no representation that this Application is appropriate or available for use in all locations. The services of MAST Education may not be available in your location, and available services may vary among locations. In addition, MAST Education will attempt to deliver all correspondence sent via the Application's messaging system. MAST Education does not, however, guarantee delivery of all messages. By submitting your information as a Tutor, you understand and agree that anyone with access to the Application may view your information and your Tutor profile. MAST Education does not guarantee that a certain number of Users or any specific MAST Student will view your information, nor does MAST Education guarantee that you will be contacted for Tutoring. When you register as a tutor through the Application, you understand and agree that the information you provide is true and accurate and that you have the proper academic qualifications and expertise in the subjects you have selected at the time of registration. You are solely responsible for the form and content of all information provided and all information included in your profile. It is the Tutor’s decision to accept a session from a MAST Student who has booked through the Company’s scheduling system or as arranged by the Company. If a session is booked outside of the aforementioned procedure, it is the Tutor’s responsibility to notify the Company within 2 hours after the completion of a session of the date, time, name of Student, subject covered, and duration of the session by email to info@masteducation.com. Tutor shall use all reasonable efforts to protect MAST Student's information and keep it confidential, using a standard of care no less than the degree of care that tutor would be reasonably expected to employ for his/her own similar confidential information. In particular, Tutor shall not directly or indirectly disclose, allow access to, transmit or transfer the information to a third party, or to use it for personal gains without the MAST Student’s and MAST’s prior written consent. Post Session Review Notes are discretionary feedback pertaining to the learning objectives and outcomes of tutored sessions written by the Tutor and sent to the MAST Student and MAST. The feedback does not require the consent of the MAST Student, and is not a requirement by MAST. It should, within reason, pertain to the Student’s learning and not contain unnecessary personal information. Tutor is expected to keep such information confidential strictly between the Tutor, the MAST Student, and MAST. Upon request by the Tutor, MAST Education can provide some samples of Post Session Review Notes for reference or amendment by the Tutor. - upload, post, email, transmit or otherwise make available any content that you do not have a right to make available under any law or under contractual or fiduciary relationships (such as inside information, proprietary and confidential information learned or disclosed as part of employment with other parties or entities or under nondisclosure agreements). - in any way violate the honor code or code of conduct of any institution to which your MAST Student or you yourself belong. - aid or encourage a MAST Student to violate the honor code or code of conduct of the institution to which the MAST Student belongs. By utilizing the Application you acknowledge and agree that listed Tutors are not employed by MAST Education. Tutors listed in the Application database shall be contacted only for tutoring purposes. Soliciting or contacting tutors for other purposes including but not limited to completing assignments, writing papers, taking quizzes or otherwise doing work on your behalf is strictly prohibited. MAST Student agrees to book a session with a MAST Tutor using the MAST scheduling system, except in special cases in which a session is arranged by MAST on behalf of the MAST Student. For any booking difficulties encountered during the scheduling process the MAST Student will reach out to MAST at info@masteducation.com as soon as possible for assistance. Under no circumstances will MAST Students contact MAST Tutors to setup and conduct private tutoring sessions outside of the MAST system. In booking a session with a MAST Tutor using the MAST scheduling system, MAST Student agrees to abide by the Cancellation and Rescheduling Policy set by a MAST Tutor. For any session not scheduled through the Company’s scheduling system and not arranged by the Company, it is the MAST Student’s responsibility to notify the Company within 2 hours after the completion of a session of the date, time, name of Student and Tutor, subject covered, and duration of the session by email to info@masteducation.com. MAST Students may provide written feedback on a Tutor they have been tutored by. Any written feedback from a MAST Student on a Tutor may be posted on the MAST website, subject to the consent of the MAST Student and the Tutor. By submitting your information to the Application and joining the MAST platform as a Tutor, the Tutor acknowledges and agrees that the Tutor will be paid the fee agreed with the MAST Student (minus the commission paid to MAST and any fees incurred during the payment process) via MAST Education. Under no circumstance will a Tutor accept payment directly from a MAST Student, nor will the Tutor take the MAST Student off the Application and tutor the MAST Student in private. If a Tutor accepts payment directly from a MAST Student or takes a MAST Student off the Application, the Tutor will be in breach of this Agreement and the Tutor Agreement. By utilizing the Application and booking a tutoring session, the MAST Student agrees to pay all costs associated with tutoring sessions scheduled through MAST Education. These costs include but are not limited to: the hourly rate as listed; travel or transportation related to your tutoring session; service charges associated with the session; and any cancellation and rescheduling fees noted in Tutor’s profile. MAST Students are not allowed to make any direct payment to Tutors; all payments must go through the MAST system. If scheduling and payments are conducted by MAST Student directly with the Tutor without MAST’s knowledge, the MAST Student will be in breach of this Agreement. All rights, title and interest, whether legal or equitable in respect of confidential information and any other intellectual property rights subsisting in the Application whether specifically identified or not absolutely belong to the Company. Tutors shall not acquire any intellectual property rights of any nature in respect of the Application by utilizing the technical services provided by MAST Education pursuant to this Agreement. MAST Education has the right to use free of charge the information posted by a Tutor on the Application (including but not limited to images, text, and video footage). The Tutor shall be entitled to the intellectual property rights of the original content generated by the Tutor. If the information provided by the Tutor (including but not limited to images, text, and video footage) involves infringement of rights of any third party, MAST Education shall not bear the liabilities arising therefrom, and the Tutor shall bear all the direct and indirect losses of the third party caused by the infringement. Your use of the Application is at your sole risk unless otherwise explicitly stated. The Application, including the information, services, and content, is provided on an "as is", "as available", and "with all faults" basis. MAST Education makes no warranty or representations that the Application will be uninterrupted, timely, secure, or error-free; the results that may be obtained from the use of the Application will be accurate or reliable; the quality of any services, content, information obtained through MAST Education will meet your expectations or requirements; MAST Education will endeavor to correct any errors in the Application. MAST Education disclaims all express or implied conditions, representations, and warranties of any kind, including any implied warranty or condition of merchantability, satisfactory quality, or fitness for a particular purpose. 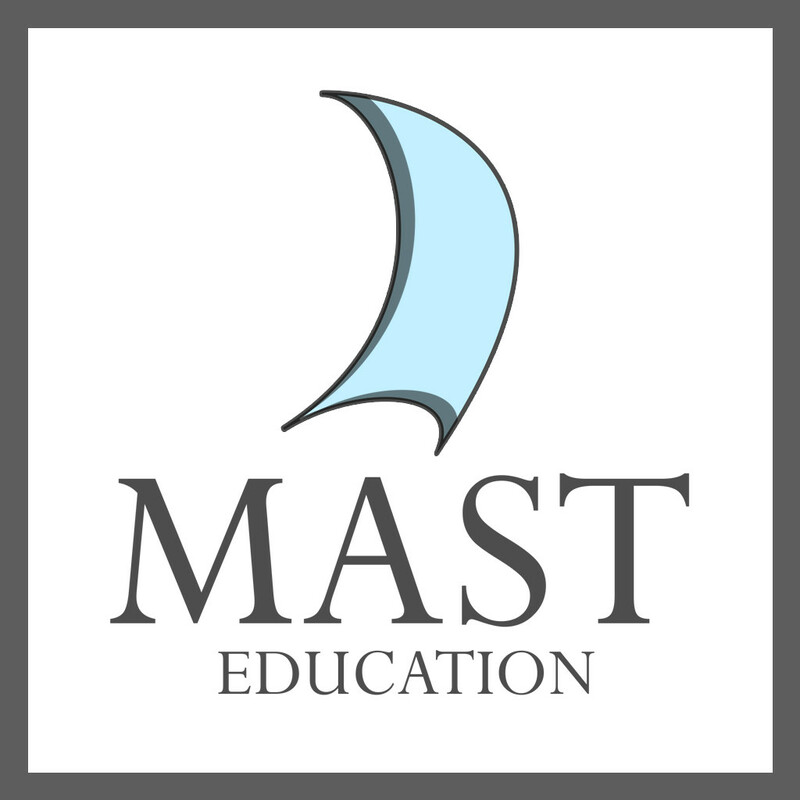 MAST Education makes no representations, warranties, conditions or guarantees as to the usefulness, quality, suitability, truth, accuracy, or completeness of the Application or the services provided by a Tutor scheduled through the Application. Tutors listed in the Application and MAST Students registering through the Application have NOT been screened for reference or background checks by independent contractors on behalf of MAST Education but Tutor’s academic qualifications and credential checking has been done by MAST Education. You assume all responsibility for conducting reference or background checks for any Tutor or MAST Student. You assume all responsibility for personal safety and security. MAST Education will not be involved in any Tutor-MAST Student interactions in any subject. MAST Education is not responsible for disputes, claims, loss, injury, or damage of ANY KIND that might arise during and after Tutor- MAST Student interaction. We reserve the right, but have no obligation, to monitor interaction and disputes between Tutor and MAST Student. MAST Education disclaims all responsibility for any loss, liability, injury, claim, or damage of any kind resulting from any errors in the Application and its content including, but not limited to, typographical and technical errors and inaccuracies. To the full extent permitted by law, MAST Education is not liable for any direct, indirect, punitive, special, incidental, consequential, or exemplary damages (including, without limitation, loss of business, revenue, profits, goodwill, use, data, electronically transmitted orders, or other economic advantage) arising out of or in connection with the MAST Education Website and application, even if MAST Education has previously been advised of, or reasonably could have foreseen, the possibility of such damages, however they arise, whether in breach of contract or in tort (including negligence), including without limitation damages due to: the use of or the inability to use the Site; the cost or procurement of substitute goods and services resulting from any goods, data, information, or services purchased or obtained, or messages received or transactions entered into, through or from the Site; statements or conduct of any third party on the Site, including without limitation unauthorized access to or alteration of transmission or data, malicious or criminal behavior, or false or fraudulent transactions; or content or information you may download, use, modify, or distribute. The Application is owned and operated by MAST Education. Its contents including, but not limited to, the database information are protected by copyright laws and regulations. No material in any shape or form may be copied, reproduced, transmitted, or distributed. This Term of Use Agreement shall be governed by the laws of the Hong Kong Special Administrative Region (“Hong Kong SAR”). Any dispute between the Parties related to this Agreement shall be resolved by arbitration under the auspices of the Hong Kong International Arbitration Centre and the rules promulgated by that body and before a single arbitrator chosen by the Company. The arbitration shall be conducted in Hong Kong SAR, and the arbitral award is final and binding on both the Company and the Tutor and may be enforced by any court having jurisdiction thereof. The Company may seek any interim or preliminary relief from a court of competent jurisdiction in Hong Kong SAR necessary to protect its rights pending the completion of arbitration. Each of the Company and the Tutor shall assume its or his/her own costs of arbitration unless otherwise decided in the arbitral award.